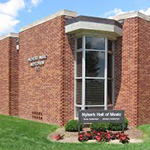 Dr. John B, Nykerk is known most for his establishment of the Nykerk oration, song, and theatre competition at Hope College. However, his greater impact on the college was as a Western literature professor through his devotion to the classics. This devotion was solidified, and perhaps, turned to fanaticism, while on sabbatical to Oxford University in England. In tracing his encounter, one can clearly see his adoption of the Arts and Crafts movement ideology. which is evident in him, physically, through his mannerisms as he tried to imitate the traditional Oxford scholars; his increased love of Tennyson and other Realist literary giants; and lastly in his purchase of two unique Pre-Industrial Revolution texts, a Beowulf and a special edition of The Canterbury Tales. The presence of these works and these new mannerisms that Nykerk adopted are no accident. Only through the influence of the Arts and Crafts movement did scholars such as Nykerk adopt a classical literary canon which has remained a standard at colleges and universities throughout the world. 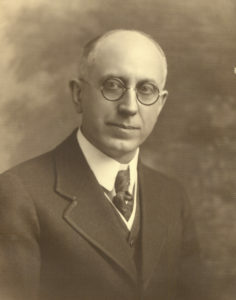 Dr. Nykerk was born in 1861 in a small rural town in western Michigan. Growing up during this time, Nykerk witnessed the effects of the Industrial Revolution that were already well underway by 1861. Within the first years of his life, he experienced its effect in Chicago and Detroit, two towns that during the early years of his life were transforming both economically and physically as skyscrapers and factories were rapidly built during his childhood. As seen by his desire to stay in western Michigan, Nykerk must have had very little love of the then “modern city.” It is also clear that he did not wish to study the modern age through business or science of any kind, because when he enrolled in Hope College in 1881, he immediately joined the college’s classics program. Over the course of the next several years, Nykerk’s love of the classics began to grow. In 1884, in his early years as a professor, Nykerk went to study at the College of Liberal Arts in Chautauqua where his research mentor was a Dr. Cook from Yale University whose specialty was Anglo Saxon literature. This type of literature is characteristic of material from the Arts and Crafts period, as it is one of the oldest and most beloved genres of literature in the English language. Dr. Nykerk was a strongly religious man. He was greatly involved in his church serving not only as a choir director, but eventually as deacon and elder at Hope Church; a colleague reported that “he never missed a prayer meeting.” Some people called Nykerk an outspoken man, as he was a person who was not afraid to take a strong position if he believed he was in the right, especially regarding ethics and religion. A prime example of this includes a story of how he expelled a boy from his choir because the boy had fallen into trouble with the law. Dr. Nykerk felt it was his place to take such actions, despite the sentiment of others who pitied the young man. While a professor at Hope College, Nykerk’s specialty was Shakespeare, Browning, and Tennyson. This, in and of itself, testifies to his love of classics, as all three of these poets and authors are known as classical giants. Tennyson was especially important to Nykerk, as he was reported to have often said that “Good poetry died when Tennyson died.” Tennyson was a poet of the Realism movement of the mid-19th century, whose criticism of the Industrial Revolution was characteristic of many Realist authors and poets who often described the extreme poverty and harshness of industrial life. While studying at Oxford on his first journey, Nykerk had the great privilege and honor to study literature under Alfred Lolyd Tennyson’s nephew-in-law Dr. R.A Pope. For a full copy of O’Donnell’s paper, click here. Mackay, Gordon. John Benardes Nykerk. 1961. TS The Joint Archives of Holland, Michigan.